Frequently Asked Questions: Which Size Digital Download Should I Order? Gallery downloads are our most popular post-session purchase for family beach portraits. We currently offer two different sizes of digital downloads. People often ask us which size they should order. Update 12/25/16 - as of January 1, 2017, we will no longer be offering the "high res" download. 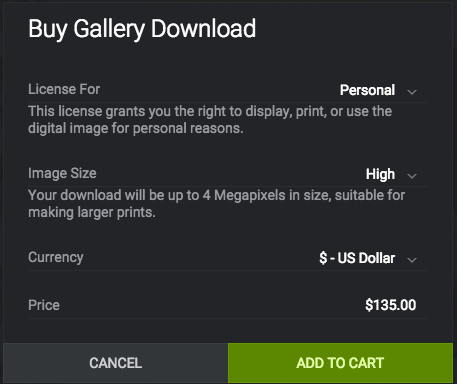 The only option will be the "full res" download. Trust us, this is the one you want anyway! We are doing this to decrease confusion and frustration that many customers have experienced! Thanks for your understanding! A 4Mpix image (“high res”) is 4 megapixels. This is a size that allows for quality printing at most reasonable sizes. If you want to print at really large poster sizes, you would probably want a larger image. (These images should be about 2000 pixels on each side.) Printing anything up to 8x10 should work fine. If all you want to do is post your images to social media or share with friends and family online, this size works great. The “Original size" or "Full res" download is whatever we uploaded - in most cases, significantly bigger than the 4 megapixel high res download. For just a little more money, you get a lot more. Our camera shoots at 22 megapixels. We don't downsize or change the resolution of the photos when we upload. But some are smaller than they were originally because we crop them for composition purposes. So they’ll be slightly smaller than 22 megapixels, but not much. 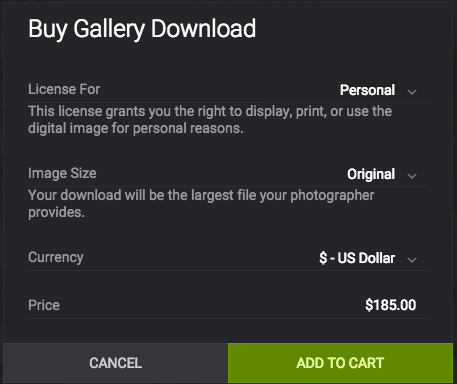 Bottom line: the Original size gallery download is well worth the extra $50! For more information on ordering prints and downloads, click here.